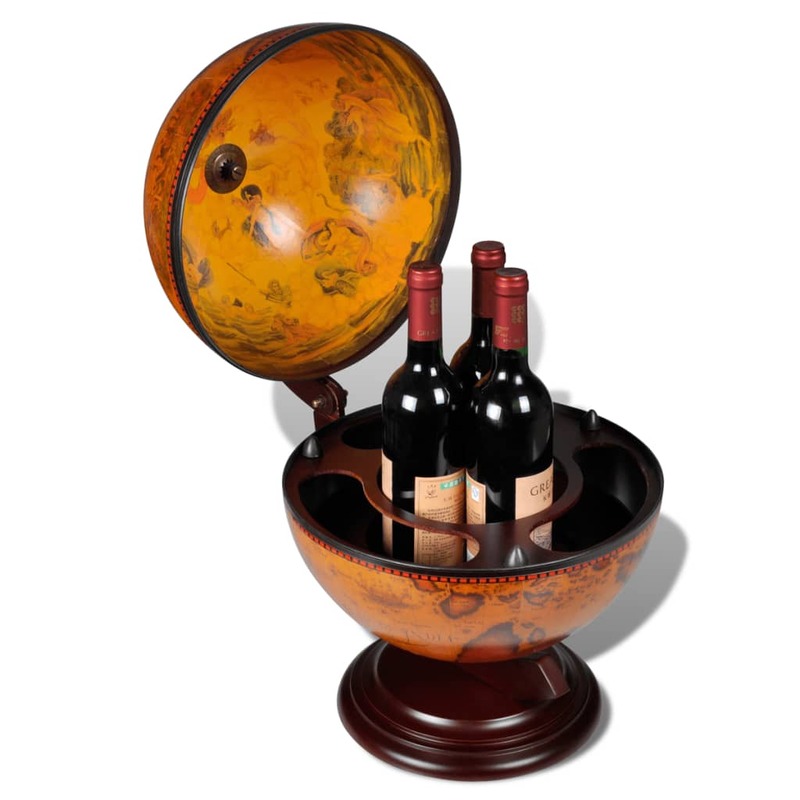 The globe bar opens to reveal a large rotating bar with plenty of room for wine, spirits, beverages and stemware. 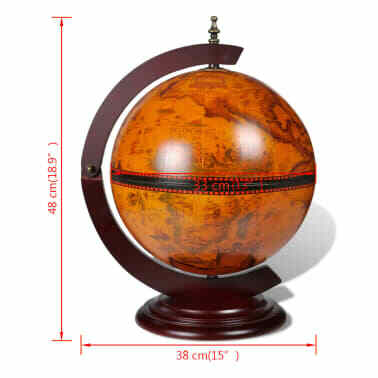 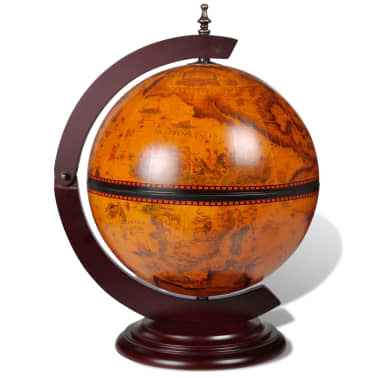 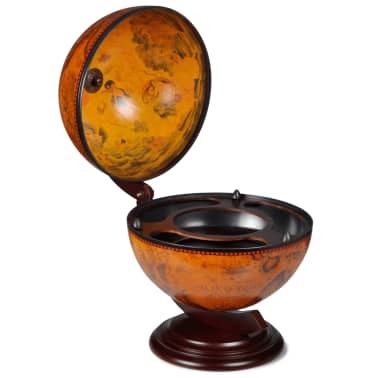 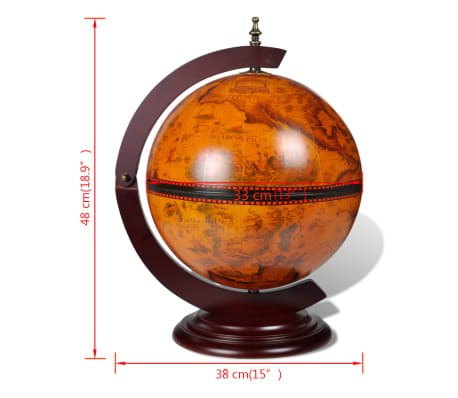 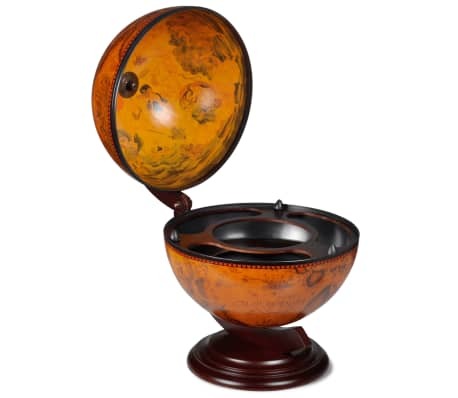 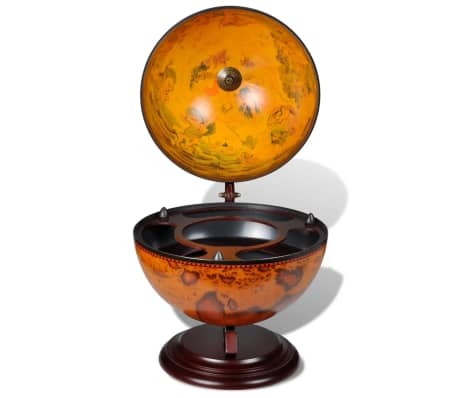 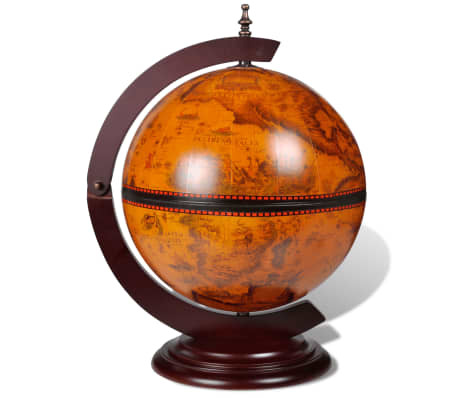 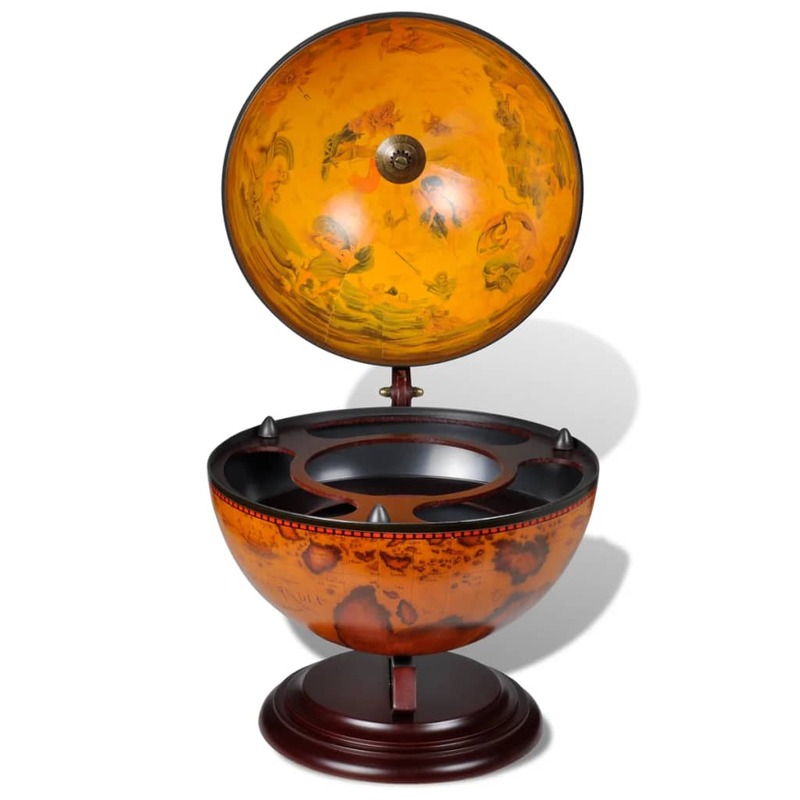 You can display your wine and glasses in a hidden space while still ensuring easy access.The outer surface of the bar globe is wrapped with 16th century replica nautical maps, and there are antique replica frescoes in the interior, making the bar globe a tasteful and artistic decoration for home or office. This globe bar is a perfect combination of aesthetics and functionality. vidaXL Globe Bar Wine Stand Atlas Design 16.5"x16.5"x33.5"